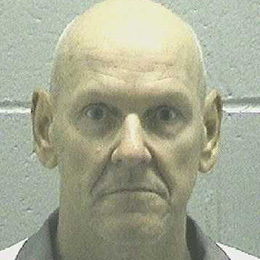 In a news release issued this past Friday, June 24, and as reported by the Associated Press, Georgia’s Attorney General Sam Olens declared that John Wayne Connor, 60 years old — who has been incarcerated for 34 years, more than half of his life — will be executed. Over a quarter of a century ago, in 1982, when Connor was just twenty-five, he was convicted of beating his friend J.T. White to death. Both Connor and White were on a bender — drinking, partying, and smoking marijuana — when White made a lurid comment, saying he’d like to sleep with Connor’s girlfriend. A fight ensued and Connor bashed White to death with a bottle. Highlighting the crime’s unpremeditated nature, Connor “left a note for his mother saying [he] had to leave because ‘something happened to me,’” and was later apprehended hiding in a hay barn with the girlfriend White’d impugned. Now, over 34 years later, on July 14, stern-faced, tight-lipped lawmen (and possibly law-women) plan to frogmarch this old, weary and weathered man, Mr. Connor, to Georgia’s death-chamber. There, in that ungodly, inhuman space, Mr. Connor, who I respectfully submit has been punished enough, and who, is far from the “worst of the worst,” will die. He will die despite the fact that in almost every civilized country the world-over, he would have been released from custody – to live – long, long ago. Despite the particular mitigating circumstances of his crime, despite his age and the toll his lengthy incarceration has wrought upon him — causing him logically to not pose a continued threat to others (if, in fact, he ever was) — he’ll be executed. Rankin’s column describes evidence in Connor’s case showing that Connor was horrifically abused as a child (“exposed to chronic domestic violence and routinely beaten, stabbed and shot at by his alcoholic father”), that he became addicted to drugs while self-medicating and, that he’s intellectually disabled. But, get this — because this is the real kicker — that information was not presented in court to save Connor’s life by his attorneys. Five times already this year Georgia has injected the barbiturate pentobarbital into the veins of otherwise reasonably healthy human beings. On July 14, on a cold gurney at the state prison in Jackson, Georgia, Mr. Connor is scheduled to be the sixth. He will not die at the hand or at the behest of his Creator, but by the will of the brave men and women of Georgia. And, even if not by their will, still, in their name. It’s horrible, it’s shameful, and in a free and civilized society, it shouldn’t be allowed.